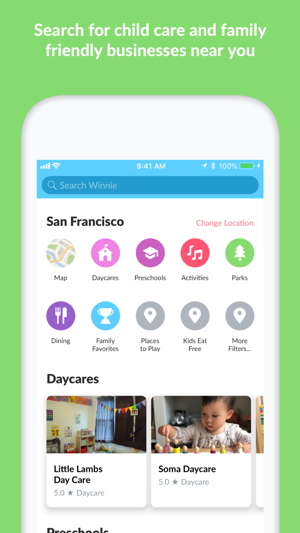 Winnie is the app that gives parents superpowers! Whether you want to find local daycares and preschools, new things to do with your kids, or ask for advice, we can help. 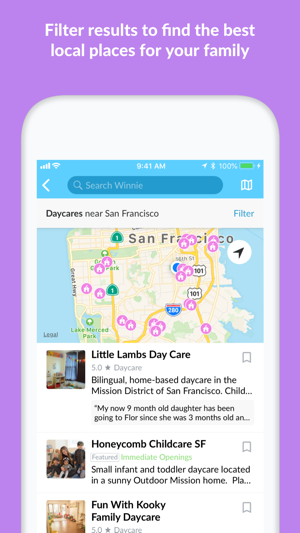 * Browse and search our unique directory of local daycares, preschools, playgrounds, family-friendly restaurants and more. * Immediately join a helpful local community of moms & dads. * Ask questions and get parenting advice about anything from pregnancy to child care. 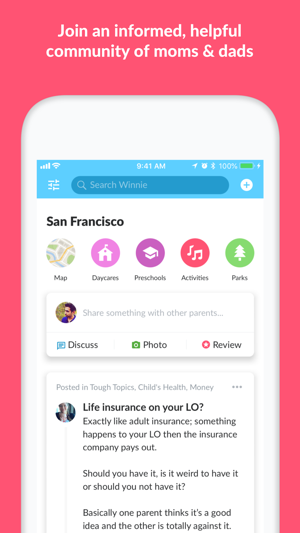 * Help other parents by sharing your experiences and recommending your favorite places. * Share your best photos safely, with cute stickers & special features to protect privacy. We’ve simplified place pages so you can easily get in contact with local daycares, preschools and family friendly businesses. Daycares and preschools in select markets now feature quality indicators including certifications, awards and accreditations. You can also view complete licensing & safety details to help you find the very best child care. As an early adopter it's been amazing to see Winnie grow and develop to suit the needs of the modern day parent! 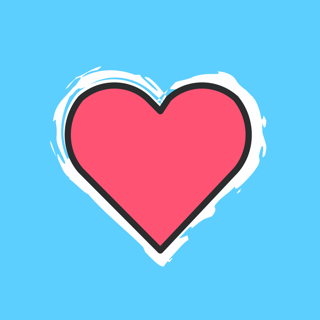 The forums are a wonderful place to connect, ask for help, or even just vent. The directory has been updated and it's even easier now to find new places and activities to explore. 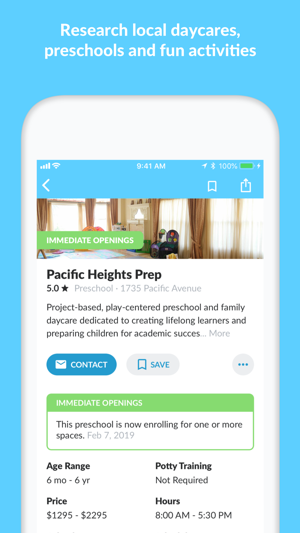 Most importantly, the searchable database for preschools and daycares is an absolute GODSEND (only available for the SF Bay Area but could probably be expanded). I find myself opening the app almost every day and have gotten some great advice from the forums! I am a father to be and had no clue what to expect. With one post on Winnie, I could connect with other fathers who are in my exact same position and I got tons of great advice that wasn’t shared with me by doctors and books. There is advice on restaurants, kid friends activities. You never have to share your name. You can choose to post anonymous so you don’t put your name out there. This app has it all. I think it’s a must have for new or even experienced parents. We love our dad community on Winnie and we're happy you're a part of it!